Opponents to the plan to shutdown seven of nine polling places in Randolph County wait to get into the government center for the vote on the plan Friday morning. The decision by the Randolph County Board of Elections not to close seven of nine polling places was followed by cheers. The plan had been the idea of consultant Mike Malone, who in turn said it was approved by Georgia’s secretary of state, Brian Kemp. Kemp oversees elections in the state and is a Republican running for governor. That’s why the Edward DuBose, national board member of the NAACP, said Randolph County was just an example of a far larger problem. "This is a victory. But by no means should anyone relax," DuBose said. 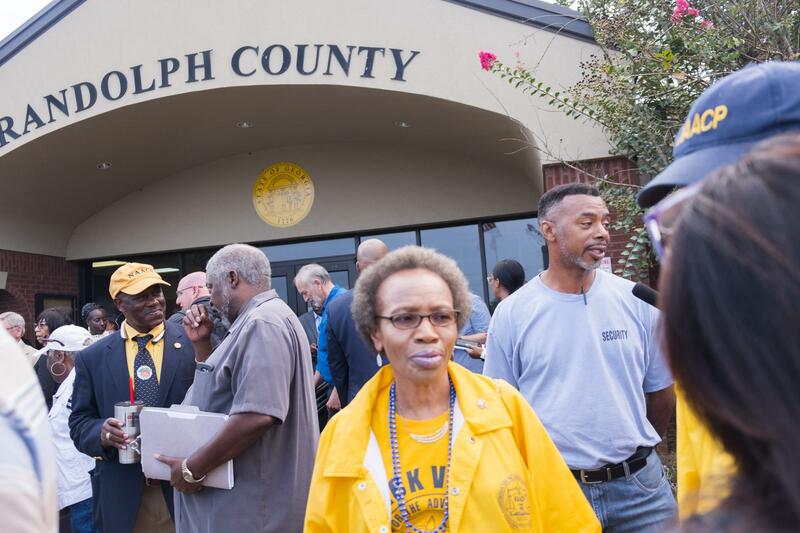 "Not only do we need to watch Randolph County but every county in the South." Even before the controversy, there were calls for Kemp to step down from his post as secretary of state. He faces Democrat Stacey Abrams in November.